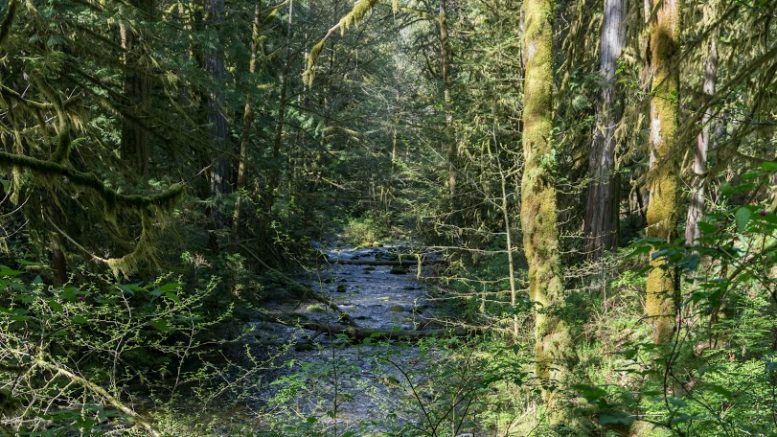 Goldstream is possibly the most popular area around Victoria for hiking. The good news for people without transport is that there is a regular bus connection from downtown all the way to the park. Just get yourself to Langford and take a bus #58 heading to Goldstream, or #52 to Bear Mountain Resort. 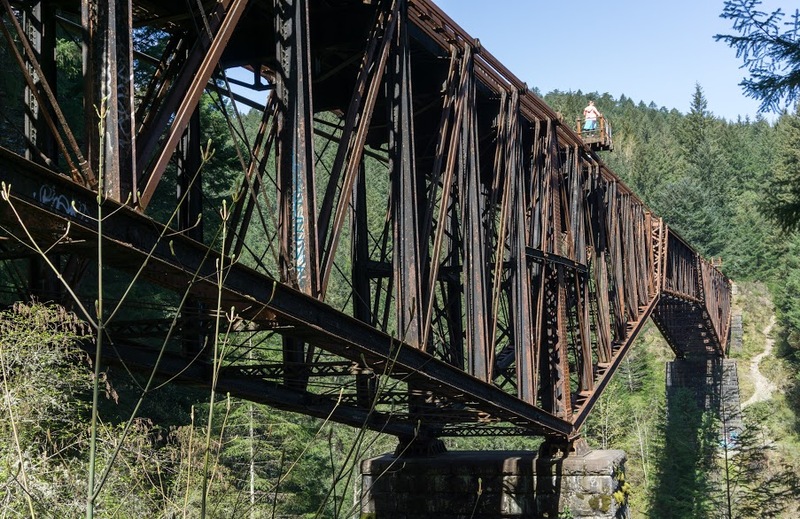 The longest hike you can do there takes you through the Western side of the park all the way to a trestle bridge, down to the highway, up to Mt Finlayson and back to a bus stop. That’s the loop that I’ll be describing in this article. Starting at the bus stop by the entrance to Goldstream Provincial Park, we hiked towards Goldstream Falls. The hike there is an easy good-for-pushchairs type of a hike. The falls are quite pretty and worth visiting even though I’m not a big fan of waterfalls. From the falls, keep following the trail until you see an unobtrusive but clearly visible path heading left. 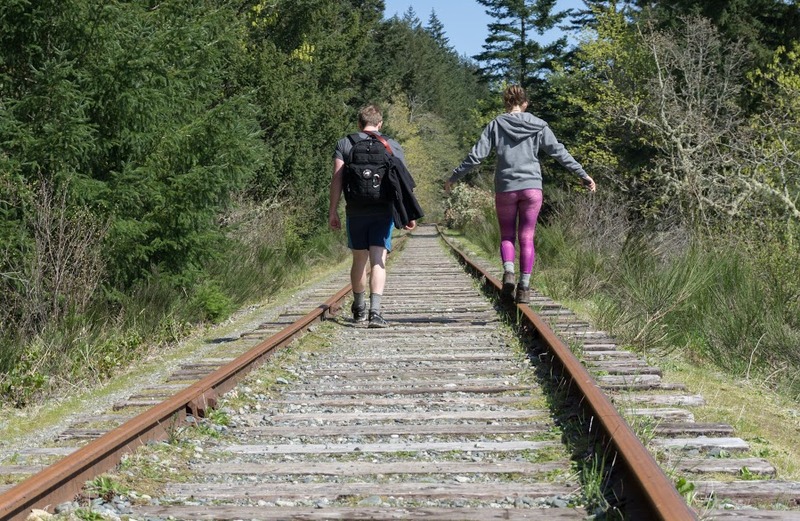 This takes you up to the Esquimalt & Nanaimo Railway, a disused railway which has become a popular walking route. It’s not often that you find an abandoned railway in the middle of the forest so why not to grab the chance to hike it. After an hour or so it takes you to the trestle bridge, where the railway spans the valley of Niagara Creek. It’s an impressive structure from the times when iron was an architect’s favourite building material, but there are no railings and it is extremely high. Officially it is not recommended to walk on the bridge but everybody does. If you choose to, for obvious reasons, be careful and stay away from the edges. The path going straight down through the forest from the south end of the bridge takes you to the highway. 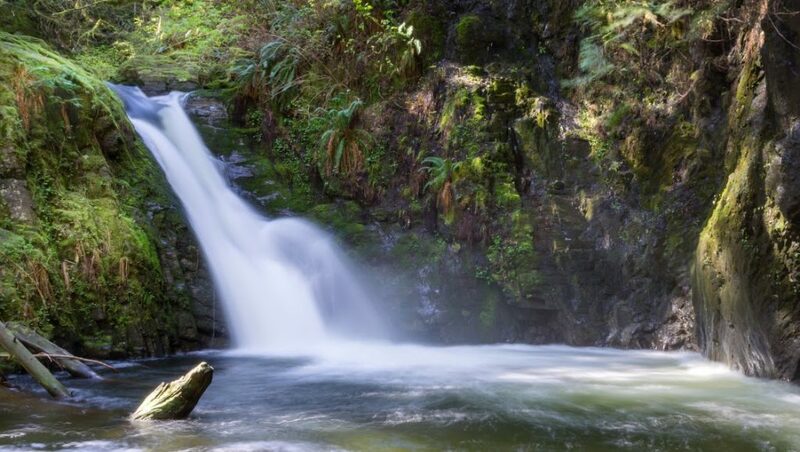 From the bottom you can find Vancouver Island’s Niagara Falls. From there you have to cross the busy highway. Again, this is not recommended as there are concrete dividers in the middle of the road and the cars travel very fast. However, when the water level is low, it is possible to pass under the highway by walking on the concrete edges of the tunnel through which Niagara stream flows. If the water level is too high and the tunnel is impassable, you can follow the highway a few hundred meters down the road to the traffic lights and cross there. Neither option is fun, legal or completely safe so be extra careful there. The only other option is to hike all the way back the same way you came and cross safely there. 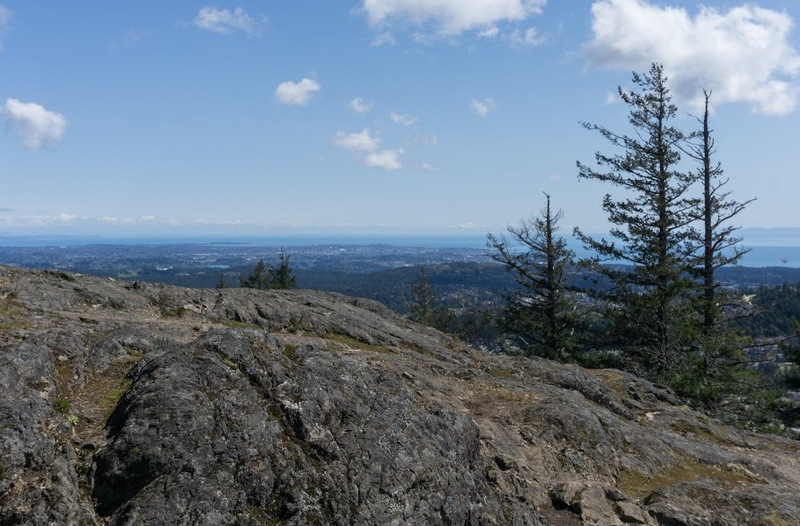 The hike to Mt Finlayson is well marked from the visitors centre down the road. It is steep and some scrambling is required in multiple places. But it’s not as hard as it sounds, I saw a sausage dog at the top. If a sausage can climb up, you can, too. 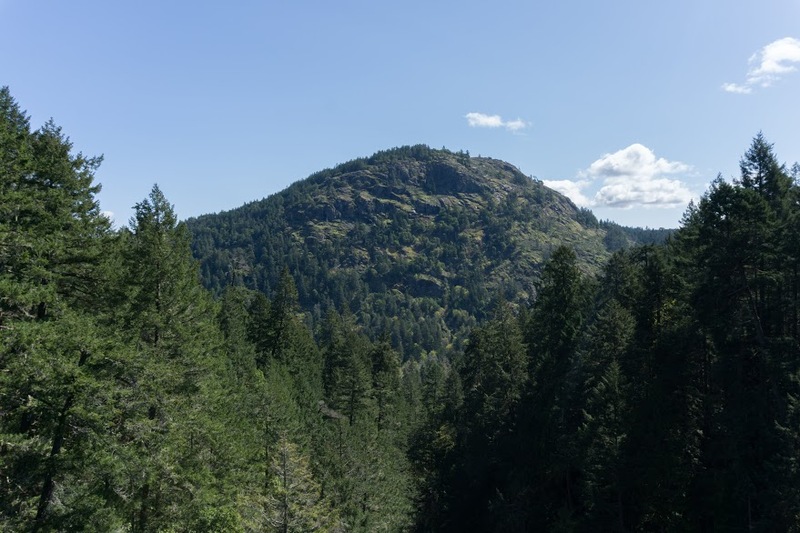 From the top of Mt Finlayson you can either go down to the visitors center and take the hike along the ridge on the Eastern side of the highway, or just go to Bear Mountain Resort. I recommend the latter, it’s closer and hiking on the Eastern side of the highway doesn’t add much this reasonably pretty hike. 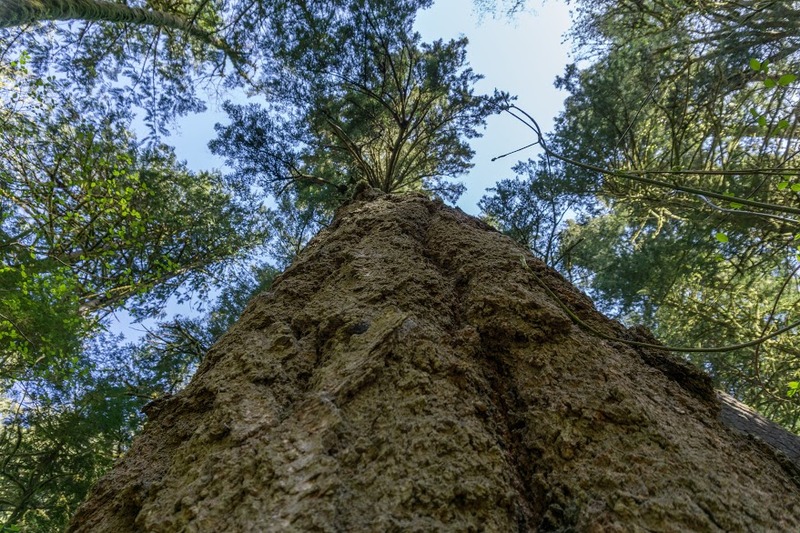 Be the first to comment on "Hiking around Victoria, British Columbia: Goldstream"